With the holiday season in full onslaught, calorie busting treats and cocktail-infused festivities temp at every turn. 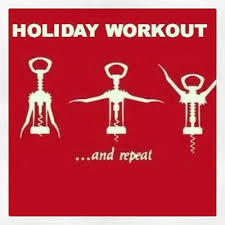 It’s tough sledding trying to calorie count or abstain from all the Christmas cookies and liquid cheer. Take care though, as any weight or workout program can quickly fall off-course with the slightest deviation from a normal routine. I suffer frequent disruptions in my exercising due to scheduling conflicts, but really from Halloween to New Year’s Eve, it’s one long Hazmat situation fraught with alluring treats and plentiful binge television watching options. Starting in January 2018, I had a sustained five-day a week workout program ongoing, and lost 18 pounds. I had a full-time job and a part-time gig on both weekend days. Doing the math on that, I was scheduled to work eight hours a day, seven days a week, with workouts squeezed in around early mornings and after work. 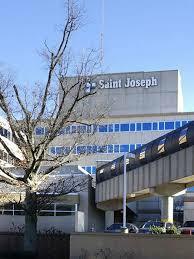 My weekend work was as a hospital security supervisor on 2nd shift, 3-11PM, at St. Joseph Hospital in Lexington. With a background in law enforcement, I took this position because it was people oriented and physical. It got me out from behind a desk and put some extra bucks in my pocket. I quickly learned it was not in my best interest to do cardio prior to going on-shift. I averaged 15,000 to 25,000 steps per shift. That equates to around a 10-mile jaunt over an eight-hour period. Once or twice I got overly ambitious and threw in say 45 minutes of mountain biking before a shift. It never ended well. My legs were gone five hours into the shift from all the walking and standing – up and down flights of steps, patient escorts, patrol tours – you walk, a lot. Ultimately the physical and mental grind of working seven days a week became too disruptive. I didn’t have the energy to write. I wasn’t pleasant to be around because of the lack of free time and I wasn’t accessible to my family. There was no time to reset my brain. Friday blurred into Monday, into Friday, into Monday – again and again, for six months. Given an opportunity to jump off-schedule for any reason became frequent, until it wasn’t possible to screw it back on tight again in terms of workouts. What I came to realize was the determination required to keep my work schedule and exercise program on course stretched me too thin. Adding to this pressure cooker was my father encountering some serious health issues requiring a lengthy stay in a hospital and rehab facility. Exercise became a luxury I couldn’t afford. 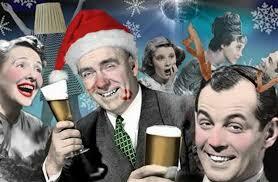 My advice to tempted holiday revelers and football bowl game watchers is to indulge with care. If a workout program gets paused, don’t try to re-install your full regimen after being off. That puts a lot of mental pressure on a person watching holiday fun erupt all around. It can be debilitating when one knows a heavy workout awaits the first day back. It can cause a one week layoff to stretch into months. A better idea is to drop expectations and phase a workout program back into full strength. Start again with one day a week, and incrementally add back in each exercise day. There’s no rush. Better to keep some exercise going than trying to do too much. Otherwise this can lead to not finishing all of a workout one day, and attempting to tack the leftover onto the following day’s slate as a make up. Just let the guilt go and move on. Another method I find helpful when veering off-course is to allow every aspect of a workout program to fall to the wayside, leave one. Keep a single element onboard and regular, so this little anchor is there to pull one’s self back online when the indulgence fades. It could be doing crunches while binge-watching Christmas movies and bowl games; stretching with your morning coffee; push-ups before bed; or hitting the heavy bag after work. The point being instead of pressuring one’s self to maintain a full workout regimen as all around are playing, compromise and give yourself a break. Keep one piece of a program in place. That can prove successful in returning one to their normal workout schedule faster after a break has occurred. Again, phase back in the intensity and number of exercise days per week to avoid injury. Technology can play a helpful role as the carrot on the stick to get moving again. My apple watch and I grew close this past year. The concept of “Closing My Rings” became a daily mantra. 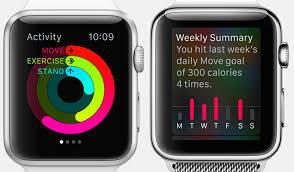 On Apple’s activity app it breaks the day down into three goals that are represented by colored rings: Red for Move; Green for Exercise; and Blue for Standing. This leads to frequent ganders at my watch to see progress achieved, as each colored ring begins to close as one inches closer to reaching the completion of each daily goal. Helping to incentivize these endeavors was the Go365 companion app to the Anthem Healthy Living Pledge that was part of my health insurance. Points are earned for an array of exercise and dietary pursuits, including preventative medical appointments and giving blood. Accumulated points take members past reward levels going upward from Bronze, to Silver, then Gold and finally Platinum. Go365 paired with my Apple watch to keep activity points flowing into my account daily. Points can then be turned into money to purchase exercise clothes, smart watches or gift cards to Target and other popular stores. Admittedly, I wasn’t successful in getting my full workout program back online in 2018. Instead I grabbed hold of the goals on my watch, and angled to Close My Rings daily. That was the small piece of my former program that gave me a handhold to remain in the healthy living orbit until my life stabilized enough to get back to where I desired to be. A break from exercising can be far harder to steer back on track than imagined. In my case the time arrived to resign from the part-time gig I had and reclaim my necessary weekend relaxation. Rest makes all the difference. This entry was posted in Exercise, Family, Food, Liquor and tagged Apple Watch, Closing My Rings, Go365, Holiday Temptation, St. Joseph Hospital. Bookmark the permalink.